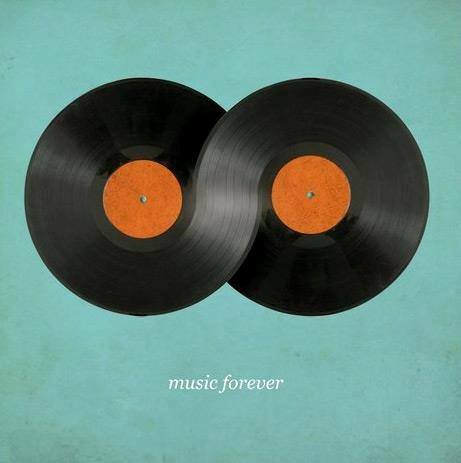 Simply stated, music is heard as sound and seen as symbol. Sometimes, a different symbol is given to the same sound and this can create confusion, think enharmonic. This confusion may also arises in relation to concepts, thoughts and ideas. For example, melody is created when sounds are connected together and then played one at a time. Melody is often mislabeled by guitar players, but correctly identified by musicians playing guitar. For example, a guitar player will call playing a melody, lead guitar, while a musician playing guitar will correctly call it: melody guitar. Here’s another example, harmony is the result of more than one sound heard at the same time. Confusion arises in this case because a guitar player will call this, rhythm guitar, while a musician playing guitar will correctly call it: harmony guitar. The idea of lead guitar may have started because, generally speaking, melody leads. But the idea of rhythm guitar doesn’t make much sense, since melody also has rhythm. In this lesson, we’ll focus on melody and leave harmony for later. Okay, now, let’s covert the solfège syllables into scale degree numbers which we’ll simplycall: tone numbers. In this transformation, Do becomes tone 1, Re becomes tone 2, Me is tone 3, Fa tone 4, So tone 5, La tone 6 and Ti tone 7. This simple tone number symbolization forms the basis of the Tone Note® Music Method for Guitar. 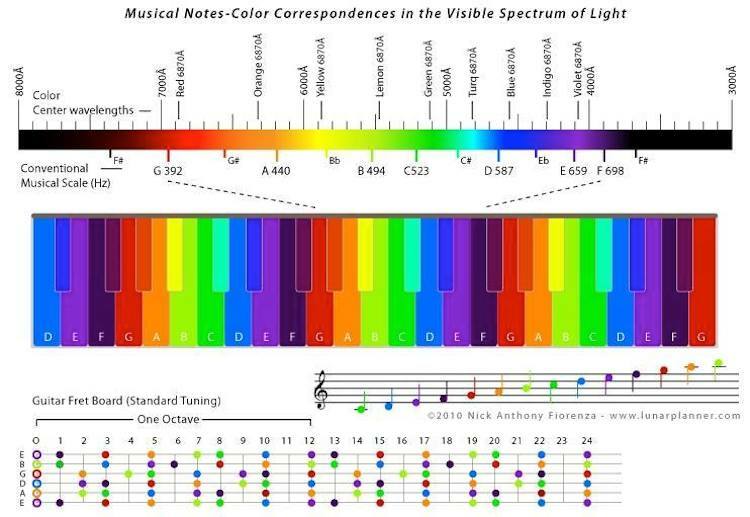 In other words, by learning only seven tone numbers on your guitar, you may begin playing many songs. Tone Note® makes music and guitar so easy! Let’s begin with a simple song, Merrily We Roll Along. Merrily may be played by using only three tone numbers, tone 1, tone 2 and tone 3. At this point, there is really no need to learn how to read and understand the rhythm symbols of music, notes. This is because you already know how to sing this song and therefore you can “imitate” its rhythm. It is my hope that this lesson has shown you how simple and easy music really is. Now, by continuing in this progressive connect-the-dots manner, from the beginning toward the end, I’m sure you’ll realize that with patience and practice, you will be able to play and enjoy music, and your guitar, at every stage of your life. ’til next time, have some Tone Note® Music Method fun… I’ll be listening! At a recent Homeschool Convention someone asked me: How many chords are there on the guitar? That’s a very good question, I replied. Is the answer, six, ten thousand, a million, who knows? What we do know is that there are only five simple open shapes from which all chords originate! Let’s begin by imagining the picture on the cover of a puzzle box. Visualize the picture on the box and see it as a whole picture. See this whole picture as the seven letter of music on your fretboard. When these seven letters of music: A, B, C, D, E, F, G are horizontally connected on the 6 strings and 12 frets of your guitar, the following picture is revealed. Now, imagine taking a pair of scissors and cutting this whole fretboard picture into five pieces, which we will call fractions. How hard would it be to put together a puzzle if it only had five pieces – Playskool® right? Well, the five puzzle pieces are the five open major chords: E, D, C, A, G which like an anagram can be rearranged into the word: CAGED. You probably know these five open shapes already. Next, let’s see how these five shapes become movable forms on the holistic fretboard. Simply stated, the definition of holistic is forms interlocked. To see this holistic connection, we need to know that a chord contains at least three different letters that are played at the same time. For example, an F major chord is spelled with these three different letters: F A C. However, unlike English, these 3 letters may be arranged in any combination, for example: F A C, A C F, C F A, F C A and the chord will still be F major. 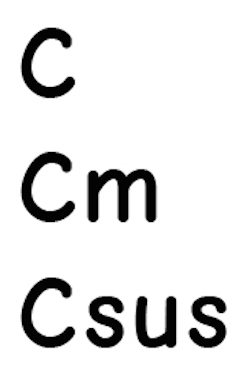 These different letter orders are called inversions. In the following example, we’ll group the three F major chord letters vertically as we move up the fretboard, and like magic, the five F major chord forms appear! Perhaps you’re having a little trouble seeing them? The following animated gif image we help you visualize these five shapes more clearly, by highlighting the three F major chord letters, FAC, into the five movable major chord forms. Congratulations! You can now see all five F major chord forms on your holistic fretboard. So, till next time, have some fun interlocking your five form holistic puzzle pieces ~ I’ll be listening . . .
Four String Baritone Guitar, Six String Standard Guitar, Seven String Guitar, Eight String Guitar, Twelve String Guitar, Acoustic Guitar, Electric Guitar, Electric Acoustic Guitar, Banjo Guitar, Classical Guitar, Flamenco Guitar, Harp Guitar, Hawaiian Lap Steel Guitar, Non-Pedal Lap Guitar, Octave Guitar, Pedal Steel Guitar, Portuguese Guitar, Renaissance Guitar, Resophonic Guitar, Steinberger Double Ball End Guitar and Tenor Guitar. Wow, did you know that there were that many different types of guitars? Well, here’s the amazing part, there are as many different sets of guitar strings as there are different guitars! Modern string manufacturers have developed a tremendous variety of new materials and construction techniques that offer unique musical characteristics to greatly enhance overall guitar string performance. This means that today’s guitarist has the opportunity to reap the many benefits of the technical innovations in string making. Contemporary guitar strings come in a wide variety, from traditional hand-crafted strings, to state-of-the-art high-tech computer controlled strings. So, no matter what type of guitar sound you imagine, there is a set of strings that will help you to achieve that sound. Now, the best way to find out for yourself which guitar strings are right for you, is to try several different kinds and brands of strings on your guitar. This will allow you to hear the differences in tone for yourself, and help you make the most informed decision possible. Remember, every guitar is different, so it’s nearly impossible to make two guitars sound exactly alike. Because of this, the strings that work for one player may not work for another, even though they play the same make and model of guitar. As you learned, there are many different types of guitars and strings, however, this lesson will focus on the types of strings used on Classical, Acoustic and Electric guitars. Until the mid 20th century, classical guitar strings were made of gut, the small intestines of sheep. Today, classical guitar strings are made of nylon. Nylon strings have numerous advantages over their gut predecessors. For example, nylon is more resilient, tends to hold a pitch better, and it is more resistant to changes in climate conditions like temperature and humidity. Classical nylon guitar strings typically have wound 6E, 5A & 4D strings and plain nylon 3G, 2B & 1E strings. Nylon strings are available in several varieties, the most common of which is clear nylon used for the treble strings. Clear nylon guitar strings are made out of durable nylon mono-filament in various gauges depending on which string they are intended for. Clear nylon strings are popular because of the clarity and richness of their sound. There are also rectified nylon treble strings which start out as clear nylon strings and are then precision-ground to a uniform diameter along their entire length.This grinding process gives them a matte finish. Rectified strings sound more mellow, more mid-range frequencies, than their clear counterparts. Some companies make black nylon treble strings which sound more pure and project more treble frequencies than clear or rectified nylon strings. Classical guitar bass strings are constructed by winding metal wire over multi-filament nylon cores. Some are called “gold,” but are in fact bronze-wound. These bronze-wound bass strings are popular because of the fullness of their sound. Other classical guitar bass strings are referred to as “silver,” which are typically silver-plated copper wire-wound. These strings have a more brilliant tone than gold-wound strings. Traditional classical guitar strings are straight at both ends and are called tie-end classical guitar strings. They are designed for classical bridges and as the name implies, must be tied on. They will not work on an acoustic guitar with bridge pins. There are also ball-end classical strings available. These are often used by guitarists who want to change strings faster on their classical guitar. These strings will also work on regular acoustic guitars with bridge pins. If a set does not specify whether it is tie-end or ball-end, it may be assumed that it is a tie-end set of strings. Ball-end strings are clearly described on the packaging. Although the strings that most acoustic guitars use are commonly called steel strings, the wound strings will almost always be bronze wire wrapped around a steel wire core. Acoustic guitar strings are also available with a phosphor bronze wind which gives the string a warmer tone and keeps its tonal character a little longer than bronze-wound strings which sound a bit brighter and tend to lose their tonal character a bit faster. Wound acoustic guitar strings whether wrapped with bronze or phosphor bronze are not steel colored, but instead appear as different shades of “gold,” which is the natural color of bronze. What we think of today as a flat-top acoustic guitar was developed in the early 20th century for players seeking more volume than traditionally constructed guitars could provide. C.F. Martin and Gibson were among the first guitar makers to try to meet this new demand. By the 1920’s, they were making steel string guitars which were more reinforced than their predecessors and were much larger than standard guitars of the time. In order to differentiate them from older, smaller, parlor-style guitars, these larger instruments were referred to by Martin as Dreadnaughts and by Gibson as Jumbos. Soon, many more companies began producing steel string acoustic guitars in many sizes. These new steel string guitars were constructed using the same types of tone woods as the Spanish classical guitar, however, they were given much stronger cross bracing inside to hold up to the greatly increased tension of the new steel strings. Steel string acoustics also had different bridges, utilizing pins to hold the ball ends of the strings in place. This replaced the small piece of wood used to tie the more flexible straight-end classical strings on classical guitars. Similarly, the wooden tuning pegs of the classical guitar were replaced with metal machine heads in order to more effectively tune the newer, much less flexible, steel acoustic strings. The main advantage of this new type of guitar was that it was much louder than traditional classical guitars. For some this was not enough, and to get even more volume, and to avoid the discomfort of finger picking heavy gauge steel strings, players began to use guitar picks. This facilitated strumming of chords and enhanced the technique of playing faster melodies. The steel string acoustic guitar was suitable for nearly any style of music and, coupled with a new arch-top design equipped with metal strings, it paved the way for the popular music of the twentieth century. As popular music progressed to bigger and bigger bands in the 1930’s, the quest for even more volume led some players to attempt to use microphones and other types of pickups to amplify their steel string guitars. However, the feedback problems this created led to the development of the hollow-body, semi-hollow-body and solid-body electric guitars we play today. The electric guitar was invented sometime in the 1930s in an effort to achieve more volume than a purely acoustic instrument was capable of producing. Some of the first companies to make modern arch-top hollow body electric guitars, and the electric guitar strings to go with them, were Rickenbacker with their Electro-Spanish guitar, National with their own electric Spanish style guitar and Gibson with the ES-150 jazz guitar. Although these guitars, and the Gibson ES-150 in particular, outwardly resembled other popular acoustic arch-top guitars of the time, these new guitars were unlike traditional acoustic guitars in that they were not designed to produce very much sound when not amplified. With the aid of an amplifier however, they were able to produce volumes loud enough to play in the large jazz bands of the era. 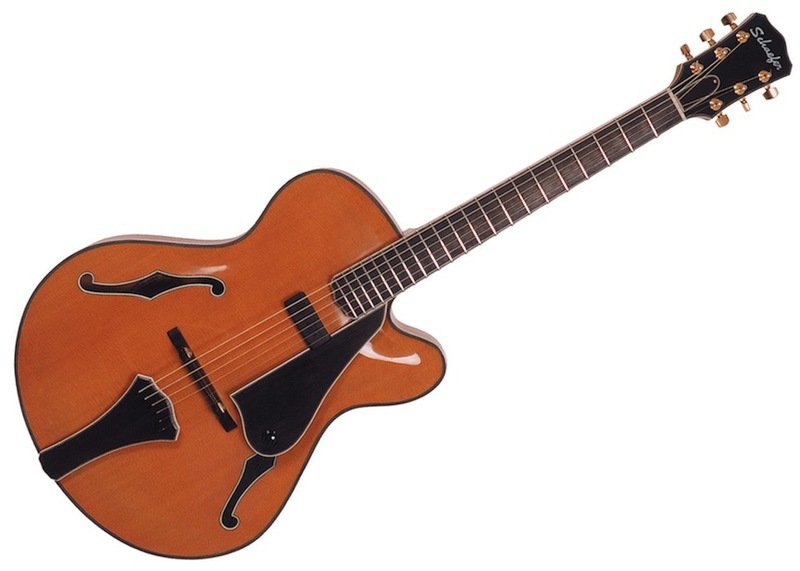 These arch-top hollow body guitars performed well until the volume on their amplifiers was turned up very high, at which point they produced large amounts of unwanted feedback. To combat this feedback, the semi-hollow body electric guitar was invented. These looked much like their hollow-body counterparts but had a solid piece of wood running from the neck joint to under the bridge of the guitar. This had numerous advantages, for example, the guitar did not vibrate nearly as much as on an acoustic style instrument. This helped eliminate unwanted feedback because the pickups were limited to picking up only the vibrations of the strings rather than that of the body. The solid piece of the body also provided a solid place to mount the bridge of the guitar, which helped intonation and tuning stability. Notable examples of semi-hollow body arch-top guitars are the Gibson ES-335, the Gretsch Duo-Jet and the Rickenbacker 360. In the late ‘40s and early ‘50s, the electric solid-body guitar was invented and three of these guitars became the most recognizable and popular solid body electric guitars in the world: the 1948 Fender Telecaster, the 1952 Gibson Les Paul, and the 1954 Fender Stratocaster. All of these electric solid body guitars are still made today in more or less the same form in which they were available in the 1950’s. These guitars are the sound of rock and roll, and their electric guitar strings are an integral part of that sound. It’s hard to imagine what the musical landscape of the last 60 years would have looked like without these electric solid-body guitars… and the strings that go with them. 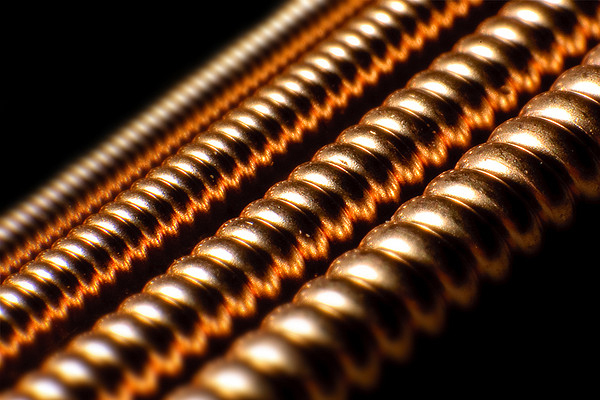 Electric guitar strings come in a variety of gauges, materials, and methods of construction. The most popular are nickel-plated steel round-wound strings, such as Ernie Ball Slinkys, D’Addario XLs, and GHS Boomers. Nickel-plated steel strings provide a bright clear tone. Some guitarists prefer the tone of pure nickel strings which give a warmer, more vintage sounding tone than nickel-plated steel strings. Other players like stainless steel strings because they are brighter than nickel-plated steel or pure nickel, and also because they last longer due to reduced corrosion from acid pH finger perspiration. Other than gauge, the thickness of a string, the scale length of your guitar affects the tension of the string. For example, a Gibson Les Paul has a 24 ¾ inch scale and comes from the factory set up with light gauge strings (.010 – .046.) While Fender Stratocasters have a 25 ½ inch scale length and come from the factory set up with extra light strings (.009 – .042.) Many players prefer this gauge string because the .009’s are easier to bend despite Fenders having a longer scale length. Think of it this way, if you put the same gauge strings on a Strat and a Les Paul and tune them to the same pitch, the strings on the Les Paul will be easier to bend. In other words, since the .009 gauge string can be a bit too easy to bend on the shorter scale length, using a .010 gauge makes the string a bit more stiff and the feel a little more resistant. Some players stroke the string really hard and find that a medium gauge set of electric guitar strings (.011 – .048) will break less often and stay in tune much longer than a lighter gauge of strings. Remember, you may use whatever gauge and type of electric round-wound strings you wish to get the sound and feel you like. Flat-wound electric guitar strings differ substantially from their round-wound counterparts. As you might have guessed, flat-wound guitar strings are wound with flat wire rather than the round wire found on round-wound strings. Because flat-wounds are flat, they feel very slick and smooth to the touch. This greatly reduces unintentional left-hand noises made while fretting and sliding. Flat-wound strings tend to last much longer than round-wound strings. However, the real deciding factor when thinking about whether or not to use flat-wound strings is their tone. Flat-wound strings have a very mellow, almost dark tone. Jazz players often prefer flat-wound strings because of their warm tone. In contrast, because flat-wound strings lack brightness and treble harmonic overtones, many rock players don’t like them. One last thought, because flat-wound strings are more difficult to manufacture than round-wound strings, they are also more expensive. Flat-wound electric guitar strings made by D’Addario, D’Angelico, DR, GHS, La Bella and SIT are made of stainless steel which provides the brightest tone possible for flat-wound strings. Flat-wound strings made by Pyramid and Thomastik-Infeld are made of pure nickel and tend to be warmer and somewhat less bright than stainless steel flat-wounds. Regardless of the maker or material, neither stainless steel nor nickel flat-wound strings will be anywhere near the brightness of round-wound strings. ‘Til next time, have some guitar playing fun, no matter what type or brand of guitar strings you’re strummin’ . . . I’ll be listening! Let’s imagine that you could toss a message in a bottle faster than a speeding bullet into the cosmic ocean of outer space. What would you seal inside it for anyone, or anything, to open some day in the distant future, in a galaxy far, far away from our solar system? Well, imagine no more because it’s been done! Thirty-seven years ago, NASA launched two Voyager spacecraft carrying earthly images and sounds toward the Stars. Voyager 1 was launched on September 5, 1977, from Cape Canaveral, Florida and Voyager 2 was sent on its way August 20 of that same year. Voyager 1 is now 11 billion miles away from earth and is the most distant of all human-made objects. Everyday, it flies another million miles farther. In fact, Voyager 1 and 2 are so far out in space that their radio signals, traveling at the speed of light, take 16 hours to reach Earth. These radio signals are captured daily by the big dish antennas of the Deep Space Network and arrive at a strength of less than one femtowatt, a millionth of a billionth of a watt. Wow! Both Voyagers are headed towards the outer boundary of the solar system, known as the heliopause. This is the region where the Sun’s influence wanes and interstellar space waxes. Also, the heliopause is where the million-mile-per-hour solar winds slow down to about 250,000 miles per hour. The Voyagers have reached these solar winds, also known as termination shock, and should cross the heliopause in another 10 to 20 years. So, stay tuned. The Voyagers have enough electrical power and thruster fuel to operate at least until 2020. By that time, Voyager 1 will be 12.4 billion miles from the Sun and Voyager 2 will be 10.5 billion miles away. Eventually, in about 40,000 years, Voyager 1 will pass within 1.6 light years of AC+79 3888, a star in the constellation of Camelopardalis. Then, in some 296,000 years, Voyager 2 will drift within 4.3 light years from Sirius, the brightest star in our earthly sky. So, it appears that the Voyagers are destined to traverse the Milky Way, and beyond, eternally. That is, unless they are abducted by an alien starship! Each Voyager contains a Golden Record which serves as a time capsule, intended to communicate information about our world to extraterrestrials should they happen discover it. This information is recorded on a gold-plated copper phonograph disk, 12 inches in diameter. Each disk contains 115 analog encoded photographs, spoken greetings in 55 languages, and a 12 minute montage of natural sounds, such as surf, wind, thunder, birds and whales. These are included to portray the diversity of life and culture on earth. In addition, the Golden Record also includes an 87 and 1/2 minute selection of music ranging from Pygmy girls singing in a forest in Zaire to Chuck Berry’s Johnny B. Goode! The contents of the Golden Record were selected for NASA by a committee chaired by Dr. Carl Sagan of Cornell University. The audio portion of the Golden Record is designed to be played on a double-sided grooved phonograph disk at 16 and 2/3 revolutions per minute. This speed is diagrammatically defined in terms of the fundamental transition time of the hydrogen atom. Wow! To enable playback, each record is encased in a protective aluminum jacket, which contains a ceramic phono cartridge and a needle, plus a diagram showing how to use them. These instructions also show a pulsar map illustrating earth’s location at the time of launch and a patch of uranium-238, from whose half-life, the elapsed time since the launch may be calculated. Although the playback technology is outdated, it has the advantage of longevity. As Iron Age cuneiform inscriptions remind us, grooves cut into a stable medium can last a long time. Therefore, the Golden Records should remain playable for at least a billion years before succumbing to erosion by micrometeorites and cosmic rays. And don’t forget, a billion years is about 5,000 times longer than Homo Sapiens have existed… give or take a couple of years. Now, here’s something which I find to be a really sad characteristic of earthlings, but strangely enough, good news for the extraterrestrials. The copyright owners for the music on the Golden Records signed agreements which only permit the replay of their works outside of the solar system. So, here we are 37 years later, and finally the aliens can listen to the Golden Records royalty free. Bonus! One last thought. Just as choosing only one book to give an extraterrestrial a glimpse of our written language would certainly be a daunting task. Deciding on only one page within that book would be even more difficult. In the same way, choosing only a few songs to include on the Golden Record was a hard choice indeed! However, with that said, I have to wonder why, with all the music produced by humans on this earth, and given the Golden Record’s limited amount of space: Why are there three examples of Bach and two of Beethoven? It seems to me that there should have been at least one Beatle song… oh well. And now, without further adieu, here are humanity’s 27 greatest hits that made the cut. ‘Til next time, have some phonographic fun… I’ll be listening! Simply stated, a harmony symbol consists of two parts: the Letter of the harmony and the Type. And although these symbols are seldom used in classical music, they are universally used to specify the harmony of popular music as found in fake books, lead sheets and chord charts. Therefore, a clear and simple understanding of harmony symbolization is essential. A quick internet search of harmony symbol notation will present you with an overwhelming amount of confusing, incomplete and, dare I say it, wrong information. So, let’s clean the slate, start at the beginning and discover that harmony notation isn’t overwhelming or confusing at all. For the examples used in this lesson, we will use the C major scale. Let’s begin by presenting the C major scale as seven letters and seven tone numbers, also known as scale degrees. In the first octave they are 1 C, 2 D, 3 E, 4 F, 5 G, 6 A, 7 B. In the second octave they become 8 C, 9 D, 10 E, 11 F, 12 G, 13 A, 14 B. Now, the first thing we need to realize about harmony is that harmony begins with one sound! To many this just doesn’t seem correct, but it is. Think of it this way. If we were to begin with a complex harmony symbol, say C major 13, which contains the letters and tones 1 C, 3 E, 5 G, 7 B, 9 D, 11 F, 13 A, we would probably quit because as a beginner, that’s a frightening chord! However, if we were to “reduce” this complex harmony by deleting six tones and letters, then, only one tone and letter would remain: 1 C. And that isn’t complex at all. In fact, it’s very simple. Now you can understand that harmony, no matter how complex, begins with one sound, one letter and one tone number. Let’s continue. Harmony of two sounds is called an interval. In other words, an interval contains two letters and two tone numbers. For this lesson, we will begin with the following intervals: Perfect Fifth: natural 5, Diminished Fifth: flat 5, and Augmented Fifth: sharp 5. The Perfect Fifth, P5, is simply the fifth sound of the major scale, tone 5 letter G. And when the perfect fifth is combined with the first sound of the scale, tone 1 letter C, the perfect fifth interval is the result. The perfect fifth interval may be played melodically, which means one at a time, or, harmonically, which means at the same time. Now, to understand the next two intervals, a simple understanding of flat (b) and sharp (#) is necessary. Simply stated, on any instrument, flat is one half-step lower in pitch and sharp is one half-step higher in pitch. To a right-handed player of guitar or bass, flat is one fret lower (to the left) of any letter or tone number, and sharp is one fret higher (to the right) of any letter or tone number. That was easy! The definition of Diminished is to shrink or make smaller. Therefore, the diminished fifth is simply the fifth sound of the major scale flatted, in other words: tone b5, which is bG in the C Major scale. When the diminished fifth, b5 bG is combined with tone 1 C, the diminished fifth interval is the result. The diminished fifth interval may be played melodically (one sound at a time), or harmonically (at the same time). The definition of Augmented is to expand or make larger. Therefore, the augmented fifth is simply the fifth sound of the major scale sharped, or, tone #5 which is #G in the C Major scale. When the augmented fifth, #5 #G is combined with tone 1 C, the augmented fifth interval is the result. The augmented fifth interval may also be played melodically or harmonically. Let’s present the three intervals that are based on tone 3. They are Major: natural 3, Minor: flat 3 and Suspended: sharp 3. You will notice that even though we used the flat and sharp signs with the third intervals, we did not use the designation diminished and augmented! The Major Third, M3, is simply the third sound of the major scale, tone 3 which is E in the C Major scale. When the major third, tone 3, is combined with the first sound of the scale, tone 1, the major third interval is the result. The major third interval may be played melodically or harmonically. The Minor Third, m3, is simply the third sound of the major scale flatted, tone b3 letter bE. When the minor third is combined with the first sound of the scale, tone 1, the minor third interval is the result. The minor third interval may be played melodically or harmonically. The Suspended Third, sus3, is simply the third sound of the major scale sharped, tone #3 letter #E. When the major third is combined with the first sound of the scale, tone 1, the suspended third interval is the result. The suspended third interval may also be played melodically or harmonically. One more thought. The definition of enharmonic is one sound with more than one symbol. Therefore, it’s important to point out that when C is tone 1, tone #3 is the letter #E and sounds the same as tone 4 letter F, but they are two different symbols. For further clarification of this important concept, see page 102 of Guitar Fretboard Facts http://www.12tonemusic.com/guitar/facts/, or, Bass Fretboard Facts http://www.12tonemusic.com/bass/facts/. Okay, it’s now time to use the above information to create Nine Triads of Three Types. Tri is Greek for three. Therefore, triads are arpeggio and chord harmonies which are spelled with three different letters and three different tone numbers. Here’s the essential idea, there are only nine triads upon which all arpeggios and chords are based! These nine triads are created by combining the three third types: major, minor and suspended, with the three fifth types: perfect, diminished and augmented. In the following examples, C is tone 1. Tone 1 is also known as the root, tonic and fundamental. To learn more about the following nine triads, see page 10 of Guitar EncycloMedia http://www.12tonemusic.com/guitar/encyclomedia/, or, Bass EncycloMedia http://www.12tonemusic.com/bass/encyclomedia/. Now, here is something very important. Notice that the harmony symbol for major is nothing. In other words, there is a harmony letter for major, but there is no type symbol for major. Said a different way, when you see nothing — and yes, you can see nothing — it means something! In other words, in this case, when you don’t see a type symbol after the harmony letter, it means major. Think of it this way, when reading the harmony symbol C, you think, say and play C major. You will notice that each of the nine triads only have one Type, Name, Tone Spelling and Letter Spelling. However, since there is no standardization of harmony symbolism, some of the nine triads have more than one Harmony Symbol. This really shouldn’t be the case because more often than not, this simply leads to confusion. But, oh well, that’s the way it is. So, ’til next time, have some nine triad fun… I’ll be listening! You are currently browsing the 12tonemusic blog archives for May, 2014.